We use 2 different methods to make our extensions - Crocheted and the Backcomb/Twist method. Here's a run down of each. These look exactly like real, natural dreadlocks so they can be used to extend the length of existing dreads or braided into undread hair. If you want your extensions to look 100% authentic, then this is the one to go for! They have been created with only a crochet hook. No wax, chemicals or other products are used in their creation. They are available in either Synthetic or Human Hair. Visibily it is difficult to tell the difference between the two. Human Hair does tend to be slightly softer and less scratchy and will behave and mature similarly to your own hair. Human Hair can be dyed but we do recommend seeking professional advice from a colourist as the hair has been processed and already coloured. Synthetic hair is heat sensitive. The Synthetic Crocheted Extensions are available in both a Double Ended and Single Ended version. What's the difference? Well this is only relevent to those who are braiding them into undreaded hair because if you are using them to lengthen existing dreads, you need to cut them to length and crochet to the bottom of each dread. Single Ends have a loop at the top and the Doubles are one long extension which is folded in half at the scalp to give you two dreads for every extension braided in. We start by backcombing high quality Kanekalon (synthetic) hair then twist it to form the dreadlock and finish and seal by heat setting. The backcombing texturises the dreadlock to make it look authentic while the twist is still evident. Backcomb & Twisted dreads are typically used by those who don't have dreads. They can be braided into undreaded hair. These are available in both a Single Ended and Double Ended version. What's the difference? Single Ends have a loop at the top and the Doubles are one long extension which is folded in half at the scalp to give you two dreads for every extension. How long does my hair have to be before I can get extensions? Single Ended and Double Ended extensions can be installed into hair which is long enough to braid - usually at least 8 cm's. Double Ended extensions can also be installed in very short hair, as short as 4cm's, using a different method. How many extensions do I need for a full head? This depends on the size of your head. Each extension is plaited into a section of your own hair which is about 2cm squared at the scalp. You can use this measurement to work out how many extensions you will need but most people end up with about 50 sections based on this. If you are using Double Ended, keep in mind that for every one extension or section, you will end up with two dreads. Since you get 2 dreads for each section, some people prefer larger sections so less extensions are needed and this equates to a quicker install. On the other hand, people who are aiming for lots of volume also use Double Ends because they can easily squeeze in more dreads. On average, most people using Double Ended extensions will end up with anywhere from 50 - 100 dreads. Single Ended VS Double Ended. This really just boils down to personal preference and what look you would like to achieve. They are both as easy as each other to install. Below are a few points to consider when making a decision. Double Ended fold over at the top and therefore don't lay as flat against your head as Single Ended extensions. We do have a small section of undreaded hair at the fold point of our Double Enders to make them fold over more easily. Your own hair will be plaited on just one half of the extension, therefore, your own hair will be visible on every second dread. This means the top dread can fold over and cover the dread which is plaited obsecuring more of your own hair but If consistency is important, and you want all dreads to look the same, then the Single Ends would achieve that. Double Ended gives you two dreads for every section therefore, they are a great way to give you a lot of volume. By the same token, you can make bigger sections therefore speeding up the install process since you get two dreads for every section. Double Ended can be installed in really short hair! You just need about 4cm's of hair. Single Ended tend to lay flatter on your head as you don't need to contend with the fold of the Double Ended. Single Ended extensions can often be installed tighter and in smaller sections of hair. This means you can most likely wear them longer than the Double Ended extensions. Single Ended are better if you just want a few sneaky dreads. Again, this is due to not having the fold that the Double Ended have so they blend in better with the undreaded hair. How long will my braided in Extensions last? Extensions will need to be removed then reinstalled every 6-12 weeks depending on how quickly your hair grows and how tightly they were installed in the first place. This is a great time to give your hair a good shampoo and perform maintenance on your extensions before reinstalling them as it is normal that in time, they will get a little scruffy. If you handle them with care and perform regular maintenance you should be able to use them over and over again. Can I wash and get my Extensions wet? Yes, definatley. 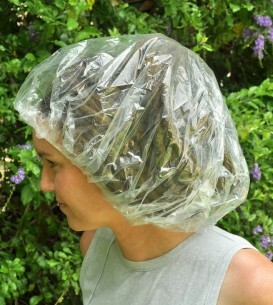 When shampooing, focus mainly on the scalp and go gentle on the extensions. Squeeze excess water out of them and allow them to air dry. 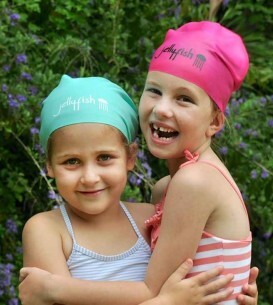 Our Large Swim Cap range and Shower Cap range are also popular amongst our extension wearers. I already have dreads, what are the best extension for me? If you want to lengthen your existing dreads, then most definately go for the Crocheted Extensions available in either Human Hair or Synthetic. These can be crocheted to the bottom of your own dreadlocks and providing colour and thickness matches, the join will permanent and seamless. If you just want to add more volume, then Singled Ended dreads are also sometimes temporarily looped around the base of an existing dread. A stitch or band can be used to secure them in place. Visibly, it is difficult to tell the difference between both types of crocheted extensions. Human hair is slightly softer and more flexible and will behave and mature similarly to your own hair. Human Hair can also be dyed however, due to the manufacturing process, we recommend a colour specialist is consulted as results can be unreliable. Our synthetic dreadlocks are of course, more affordable. Human hair extensions are approximately 8mm wide and 40cm/16inches long. Synthetic extensions are just a tad thicker at about 10mm wide and 50cm/20inches long. Can't find what you want? Then we may be able to help out with a custom order of Human Hair. Please send your requirements including colour, thickness, length and number of dreads needed to [email protected] and we'll respond with a quote. What if you don't have the colour, length or thickness I'm after? The DIY Human Hair Weft Kit includes all the tools, product and of course, hair needed to make your own dreads. Alternatively, if a different length is what you are after, the Crocheted extensions can be cut to be made shorter, or crocheted together for more length. We also offer custom orders for Crocheted Human Hair Dreadlocks. Please email [email protected] with the number of dreads, thickness, length and colour and we'll reply with a quote.